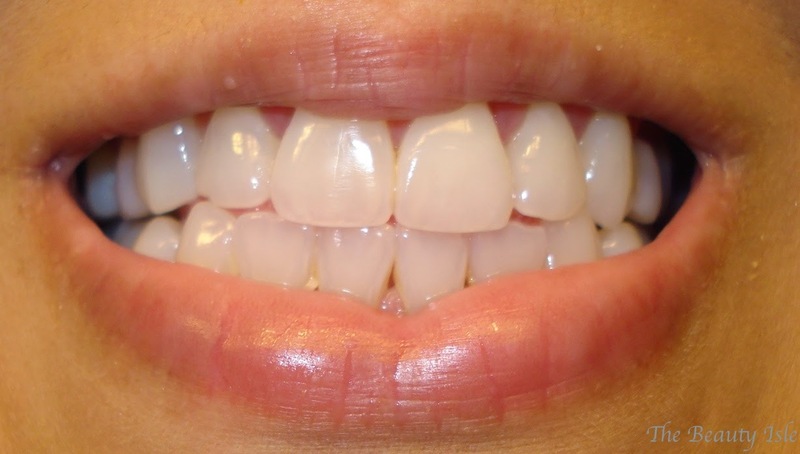 I think we can all agree that healthy, clean, and white teeth are an essential part of beauty. A sparkling smile can make anyone look and feel 1000X more beautiful! 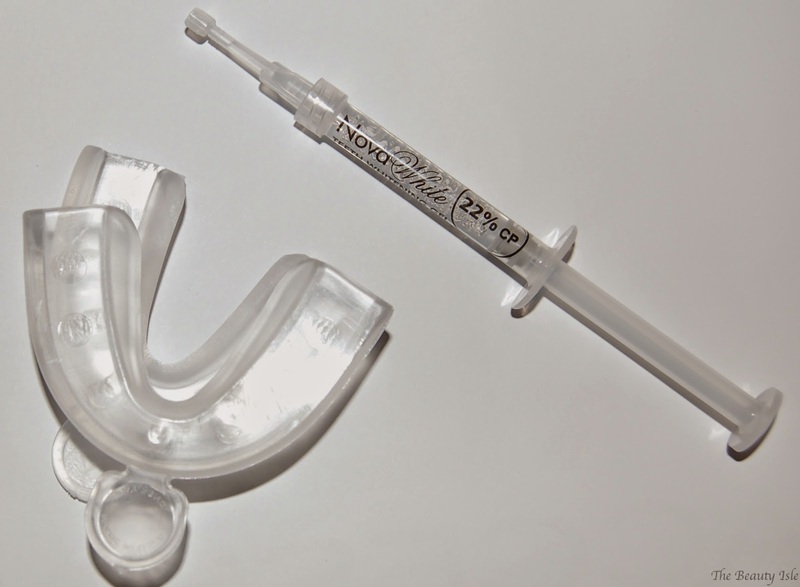 Today I'll be talking about a teeth whitening system from NovaWhite. The whitening gel they use is dental grade quality and strength at 22% Carbamide Peroxide. NovaWhite sent me 2 Boil-n-Bite trays and 4 syringes that contain the bleaching gel. In order to get the Boil-n-Bite trays to fit, you dip them into boiling water for a few seconds and then put them in your mouth so that the plastic becomes molded to your teeth. You only need to do this once. Here are the trays once I fitted them to my own teeth. 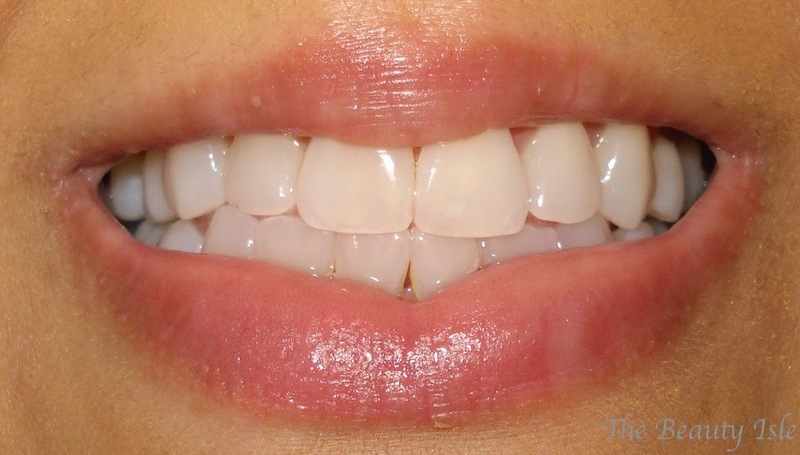 You then squeeze a small amount of whitening gel from the syringe into the teeth indentations. 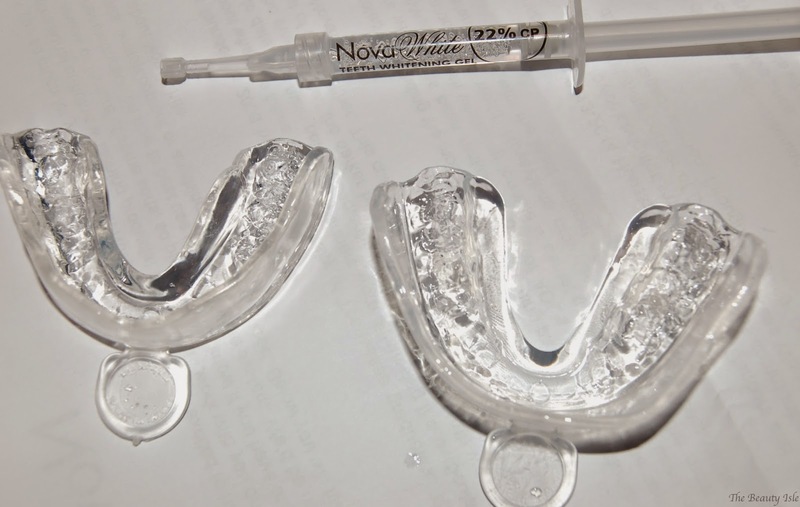 Then you can place the trays on your teeth for 30-60 minutes. The gel has a slight mint flavor. I have a small mouth so although the boil-n-bite procedure did mold the trays better to my teeth, they were still really big for my mouth. The bottom tray especially felt awkward. It was tolerable though and I only had to keep them in for about 45 minutes. A great part of this system is that I had no sensitivity whatsoever. After just four uses I noticed that my teeth were a few shades whiter. See below. 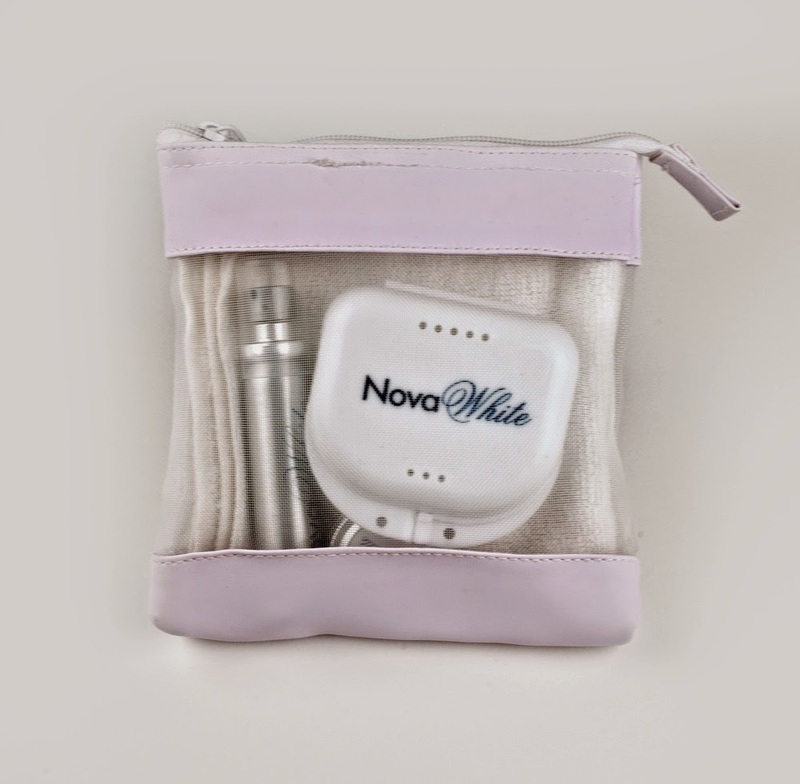 To get a kit similar to mine you can order the NovaWhite Go Kit which includes 3 syringes and a set of Boil-n-Bite trays for $54. The best part about NovaWhite is that they offer custom trays. They send you a mold which you fit to your teeth and then send back to them. They then send you your custom trays which fit your teeth perfectly, this ensures that the gel surrounds each tooth. I think that if you have a small mouth like me, the custom trays would be a much better option than the Boil-n-Bites. You'll then have your custom trays forever and can order the gel syringes whenever you like! 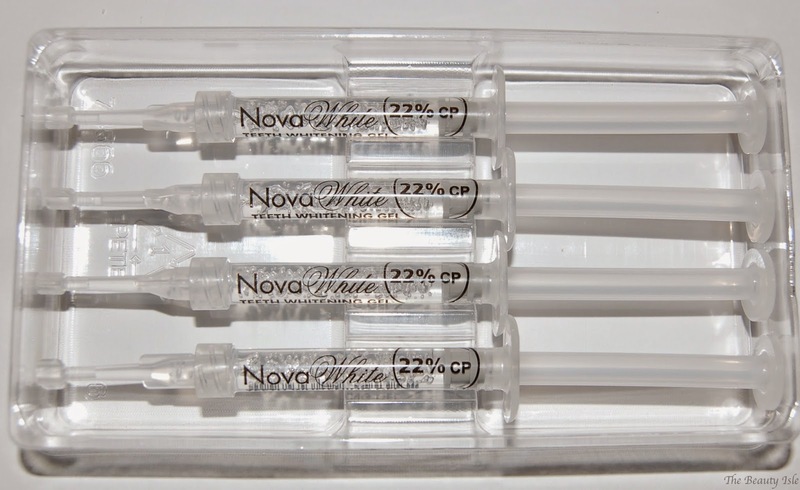 NovaWhite also sells a Whitening Pen which is perfect to whiten your teeth on the go. 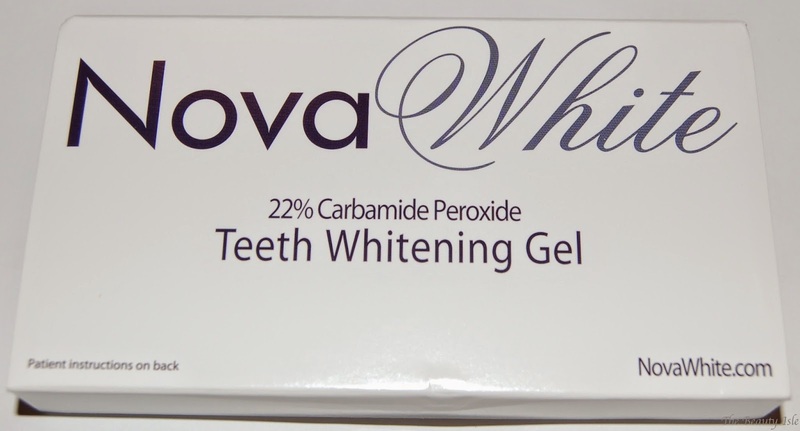 Overall I liked the brightening effects that the NovaWhite gel gave my teeth over just a few days! 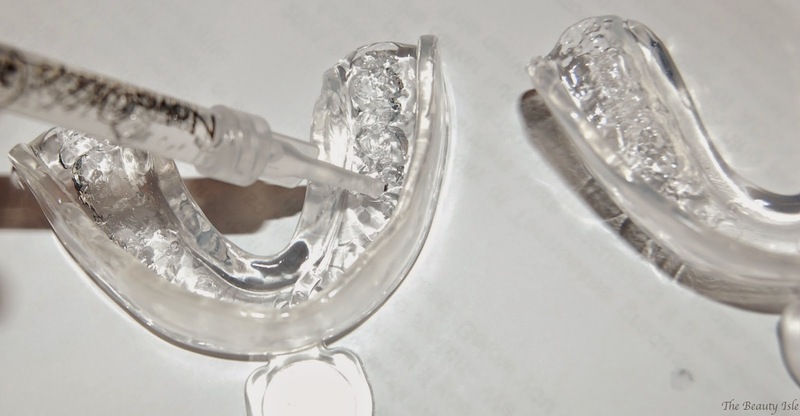 Have you ever tried an at-home teeth whitening system? *Disclaimer: I received these products for review, however all statements are 100% honest and my own.